Home of haggis, caber-tossing and the largest annual arts festival in the world, Scotland is known for its rich history, cultural diversity, striking natural landscapes, distinctive national traditions and impenetrable local accents. Fancy studying in the northernmost part of the UK? Here are the 10 top universities in Scotland, based on the 2019 edition of the QS World University Rankings®. Robert Gordon University, ranked 801-1000, was voted the best university in Scotland for graduate prospects in 2017, and is consistently considered to be one of the top universities in the UK for graduate employment by the UK Higher Education Statistics Agency (HESA). The Robert Gordon University campus is located in the Garthdee, part of the south-western suburbs of the city of Aberdeen (which was a new entry in the QS Best Student Cities ranking this year at 55th), but it also has two buildings within the city center, including the Students’ Union, meaning Robert Gordon students are very much part of the city’s vibrant life. Edinburgh Napier University is also ranked 801-1000 in the QS World University Rankings® 2019. Originally founded in 1964 as Napier Technical College (named after John Napier, the inventor of logarithms), it was granted university status in 1992. Edinburgh Napier is made up of three campuses in Edinburgh and has a total of 20,000 students, including those studying transnational courses abroad in collaboration with universities such as City University of Hong Kong. In 2015, the university reported that 95 percent of its undergraduates were in employment or further study within six months of graduation. Edinburgh Napier also achieves five stars for its teaching, internationalization and employability in the QS Stars rating system. One of the younger institutions to make our list of top universities in Scotland, the University of Stirling was founded in 1967 by Royal Charter. Ranked joint 417th in the world, the university is situated just two miles outside of Stirling city center, where Stirling Castle sits atop the plug of an extinct volcano, presenting an extraordinary view from both above and below. The city itself surrounds the castle, with the high ground known for its preserved Victorian Gothic architecture and the lower ground offering modernity and commercialism in a city that combines the best of old and new. Stirling was also rated the most affordable city in the UK in 2018. Established in 1821 and located in the Scottish capital Edinburgh, Heriot-Watt University is ranked 302nd in the world, up 10 places from last year. Once located solely in the city center, the university completed its move to the leafy suburb of Riccarton, approximately six miles from the city center, in the 1990s. The new campus is situated on 380 acres of parkland and boasts some of the best sports facilities in the region. Heriot-Watt has a large population of international students, with 22 percent of its 10,500 students on its UK campuses coming from abroad. Ranked joint 272nd in the world in 2019, the University of Dundee claims to have the friendliest campus in Scotland and is situated right in the heart of Dundee city center. Many of the university’s facilities are highly modern, thanks to a recent £200 million redevelopment program. Located on the east coast of the central lowlands of Scotland, Dundee’s industrial expansion in the 19th century led to it becoming known as the city of “jute, jam and journalism”. You may be interested to learn Dundee is known as the sunniest city in Scotland and has the mildest climate in the region. Scotland’s third-largest university in terms of student population (with around 15,000 undergraduates alone), the University of Strathclyde is based in the city of Glasgow. Founded in 1796 and ranked 268th in the world, the University of Strathclyde is known for its innovative and entrepreneurial ethos. The university now boasts a Technology and Innovation Center, which “revolutionizes the way researchers in academia and industry collaborate and innovate together” and is expected to boost both employment and investment opportunities in Glasgow. The University of Aberdeen is ranked joint 172nd in the world in the QS World University Rankings this year, and claims a long history, dating back to 1495. Aberdeen is one of the most cost-effective cities for students and offers a wealth of experiences and attractions in return – including many that are free to enjoy, such as the Aberdeen Art Gallery and the Maritime Museum. The University of Aberdeen’s main King’s College campus is located two miles north of the city center in the Old Aberdeen district, and boasts an 11-acre botanical garden and a £57 million state-of-the-art library which opened in 2012. Home to around 10,330 students, the University of St Andrews was founded in 1410, making it the oldest of the four “ancient universities of Scotland”. It’s ranked 97th in the world in 2019 and 18th among the top universities in the UK. A small university town in rural Fife on Scotland’s east coast, St Andrews is famous for its golf course as well as its university, where more than a third of the town’s population either study or work. With the university playing such a central role in local life, the community atmosphere here is hard to beat. Home to Scotland’s oldest public museum and the largest Scottish university by student population, the University of Glasgow is also the fourth-oldest university in the English-speaking world, having been established in 1451. Ranked joint 69th in the world, the University of Glasgow is located in the Hillhead neighborhood in Glasgow’s West End, an area known for fashion and cultural diversity. The city’s Victorian architecture is now modishly outfitted with trendy but down-to-earth bars and clubs which appeal to the Glaswegian sense of fun, allowing it to compete with Edinburgh for the title of Scotland’s cultural capital. Ranked first among the top universities in Scotland at 18th in the world is the University of Edinburgh, the sixth-oldest university in the English-speaking world and a part of Scotland’s capital city since 1583. The “old town”, where the university is based, is frozen in time with its preserved medieval street plan and reformation-era buildings. The University of Edinburgh plays a distinct role in the city’s status as both a hub of knowledge and a vibrant cultural center which nurtures fringe theater and comedy. This artistic streak then feeds into the famous Edinburgh Fringe Festival, which is held every August. This article was originally published in January 2014. 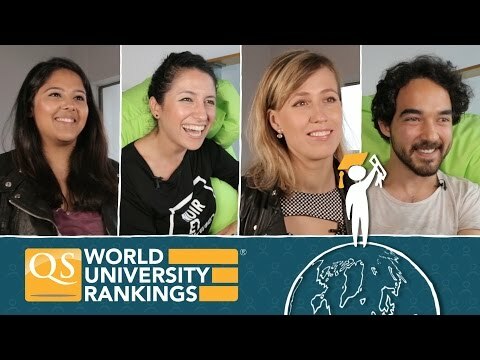 It was last updated in June 2018 to reflect the latest QS World University Rankings® results. Hi Newrol, tuition fees in Scotland vary depending on whether you're from Scotland/the EU (in which it's free), other parts of the UK (in which it's £9,250 a year) or outside of the EU (in which fees start at £10,500 and go up to £20,570 per year). You can find out more about the costs of studying in the UK here.